In the meantime of taking a self-imposed break from posting ghostly paranormal stuff, I've decided to develop a new section for my J.S. Lawhead site that is devoted to some more inspirational spiritual things as we close out a year that really sought to remind us of the temporal nature of our existence. My site talks a lot about death from a comfortable distance, but now I want us to get a lot closer to death and talk about it without our comfort barriers up. Let's not mince words here, 2016 was an unusually difficult year for a lot of people. Wars continue to rage across the world, violence erupts as new civil battles over politics occur here in U.S. cities, we lost a LOT of influential figures in pop culture who meant, for better or worse, a lot to us in rapid succession, more and more we see the effects of climate change go on around us and even the area I live in, one of the safest places in the American South, was affected by an extremely rare wildfire where many of my friends and day job work clients lost everything and one really weird week in April where we had 4 other very rare tragedies happen in a 4 day period. As we close out the year, my generational peers, ages 25-40, are feeling very bummed and starting to really feel the ravages of knowing that old age has begun with them and death for themselves and their loved ones are soon behind. But the truth of the matter is that fearing or being depressed over aging and death are the most irrational fears mankind can have. Aging and death are simply change, completely inevitable, and things that would make life a lot worse if we didn't have them. 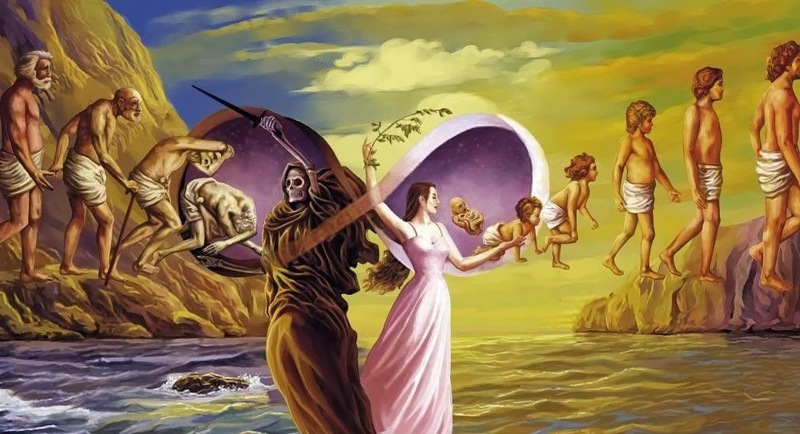 You can also put aside your fears that death is going to be some kind of eternal void, eternal state of suffering, cessation, punishment or even reward - it is far more likely that whatever happens to us, or you, after death is only going to be temporary like life was anyway and eventually you'll reincarnate. This paragraph is only the bottom line of what I'm going to talk about and I'll provide much more as I go to develop this. Now I will say that what I'm going to talk about there is going to be religious and quasi-scientific in nature. I'm not a doctor, scientist or cleric so I'm not pretending to give you the big "secret" or sell you in on something, but I am looking to do my part to help my peers shed their fears of the inevitable based on the finest wisdom I've been privileged to find, without trying to tell you to convert, in ways that are very general and based in common sense and still spiritually fulfilling. If you're depressed or scared about growing old and dying, you are who I'm looking to help there. Hi there. This is Jeff Lawhead, author of Phantoms Fill The Southern Skies and operator of jslawhead.com here. 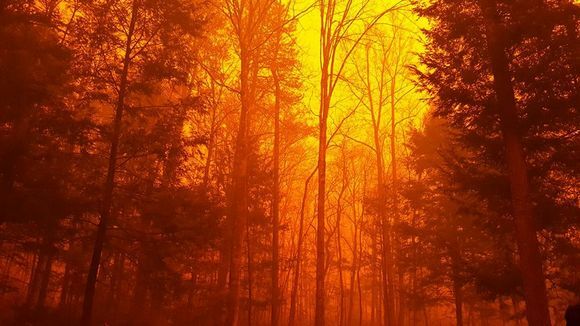 As at least some of you know, this week the area I live in has been in a state of emergency since Monday, November 28th, due to a near unprecedented series of wildfires that nearly devastated the Smoky Mountains in Gatlinburg and Pigeon Forge. Although I was not personally affected by these fires and did not lose anything in the event, it has proven to be a historic tragedy in East Tennessee due to what many, many others have lost. As of writing, 13 people have died, over 80 were injured, innumerate people lost their houses and businesses, and the entire general flow of life here has been heavily upended. As a result, I am going to temporarily cease operations of posting paranormal stuff on my website and actively trying to sell Phantoms Fill The Southern Skies. Beyond my hobby of writing about the paranormal, I work in the tourism industry for my day job, and as the wildfires and the damage they cause as part of what needs to be my business to know, I feel it's inappropriate to be talking about tragedies and ghosts in the mountains and woods when we are currently experiencing that ourselves in a way that's garnering nationwide headline news. Just really not the right time. Again, this is only temporary and I expect to try to be resuming posting paranormal articles and videos here maybe mid-February as well as trying to sell my book. I would also like to encourage anyone reading this to come visit the Smoky Mountains of East Tennessee, Gatlinburg and Pigeon Forge all the same. Even though the wildfires have devastated us, we are very much NOT closed for business. Our spirits and livelihood burn brighter than any fire and we will have an amazing Christmas holiday here nonetheless. I think that's all I have to say about that for right now. For tourism information on the Smokies, I refer you to www.allthesmokies.com. For news on the wildfires, I refer you to www.wbir.com. Thank you!